The Verderflex peristaltic pump range provide exceptional results in the precision pumping and dispensing of a vast array of products, in benchtop, laboratory and process environments, offering the most accurate dosing and repeatability possible. 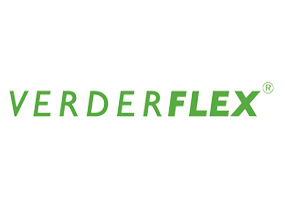 Verderflex peristaltic pumps provide a high level of reliability and cost-effectiveness, with accurate dosing and repeatability and capability of handling viscous and chemically aggressive liquids as well as shear sensitive products. The Verderflex Smart and Vantage 5000 range are both fully programmable with the option for multiple heads. 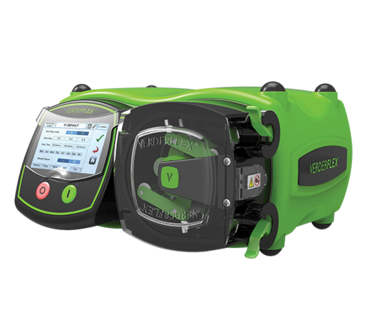 The new Verderflex Vantage 5000 cased drive peristaltic pump accurately doses liquids at pressures exceeding 7 Bar, with an intuitive touch screen user interface and a USB data backup port. They are ideally suited for pharmaceutical and laboratory applications. This simple to use, compact pump, may easily be used on a benchtop and is ideal for the transfer, dosing or metering of abrasive, shear sensitive and highly viscous fluids. Remotely control signal options include include 0-10V, 4 to 20mA & tachometer inputs & outputs with optional opto isolation and multiple volt free inputs & outputs. The Verderflex® Smart series is a low pressure, high flow dosing and metering pump. Capable of handling viscous, abrasive and chemically aggressive media with total containment and leak free pumping. The pump has an easy-fit saddle mechanism which that can be operated with one hand and because the tube is top-loaded, changing the tubes on the Verderflex® Smart is much simpler than other tube pumps. To further discuss the Verderflex peristaltic tube pump range, and how we can help you. Please contact us, or request a callback at a convenient time to suit you.